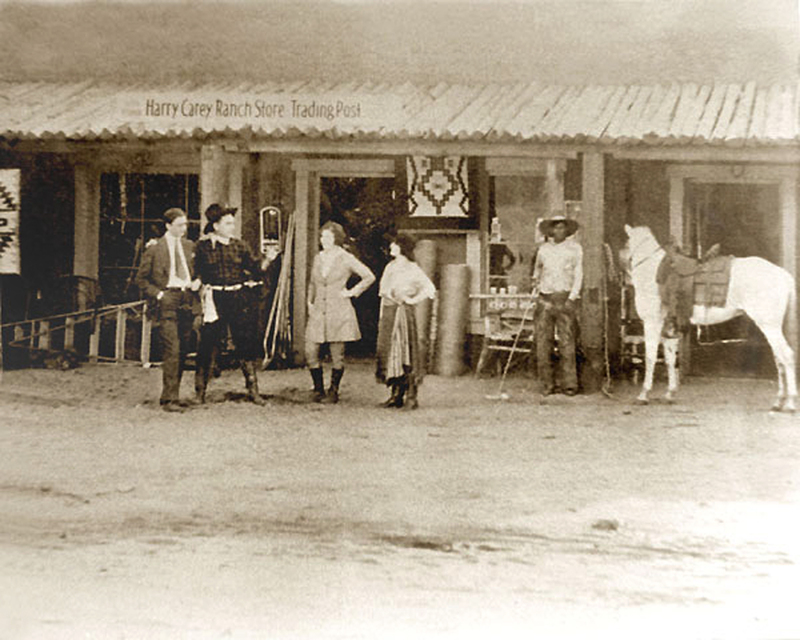 Harry Carey Ranch Store Trading Post, 1910s-20s. 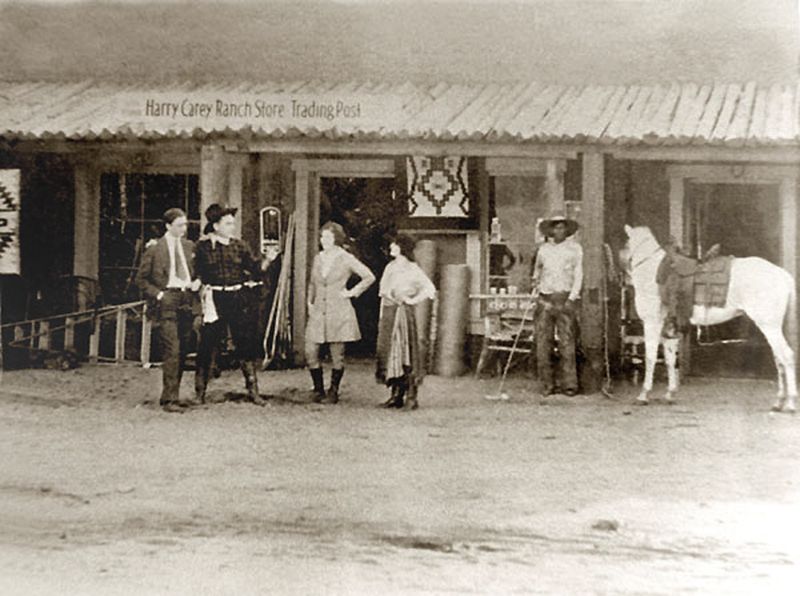 Harry Carey is standing second from left. Photo originally from the collection of Anita Ruby Kellogg. HS0400: Image enhanced by Audrey Erickson.